The New Year is a new start for everyone but the evening before can be a bit expensive. Especially if you went overboard at Christmas time. Check out our money saving tips that will still allow you to see the New Year in with some style. Sounds pretty obvious but not going out saves you loads of cash. During New Year’s Eve you’ll have to pay to enter pubs that are normally free to enter. Drinks may also be more expensive. Those things add up, especially when you’re letting your hair down and not counting the pennies. Staying indoors is the best way of keeping your expenses low. If you’re adamant that you have to go out to celebrate, make sure you research first. Use the web to see who’s offering the best entry prices if you’re interested in going to the pub. If you’re after a meal out, check which restaurants are offering a set menu as this will help you contain your spending. Checking the web will also give you an idea of which towns and cities near you are offering free firework displays. These are a great way of seeing the New Year in and you’ll get to mingle with loads of people you’ve not met before. Wrap up warm if you’re thinking of doing this as you’ll be out in the cold for a long time. 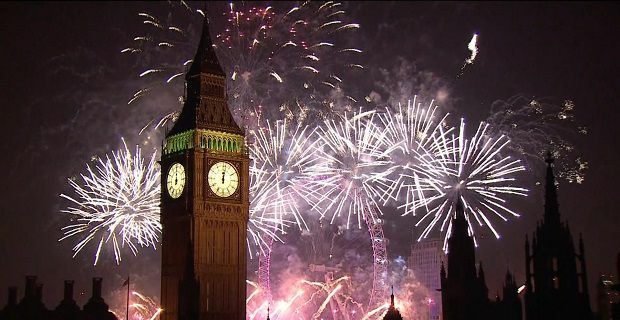 If you live near London, go along to the London New Year's Eve Fireworks. These are always spectacular, partly because of the scenic background. If the idea of heading out of your area brings to mind travel costs, or if the amount of time spent on the road or on public transport will be a problem, stay local. There’s normally something happening with a short distance of wherever you live (even if you’re living out in the sticks).